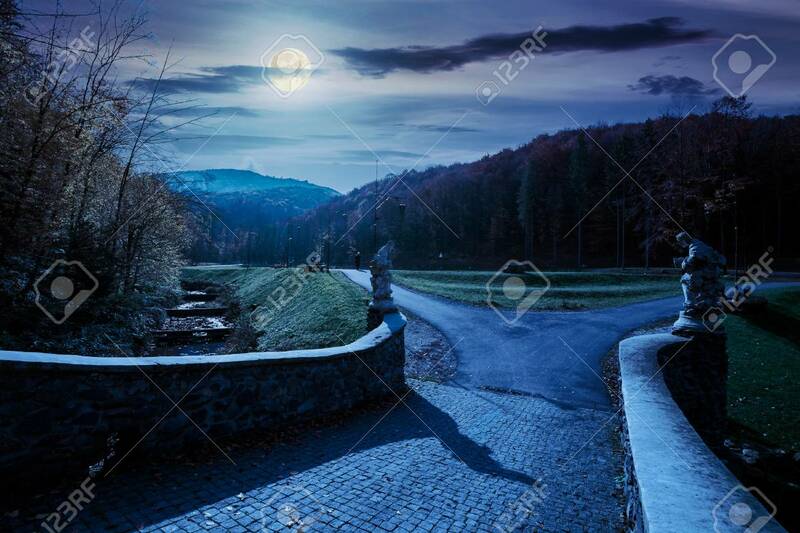 Park Among Mountain In Autumn At Night In Full Moon Light. Trees.. Stock Photo, Picture And Royalty Free Image. Image 116824898.